When you need a Margate Auto Accident Attorney you can depend on, call the Law Offices of Robert E. Gluck, P.A. 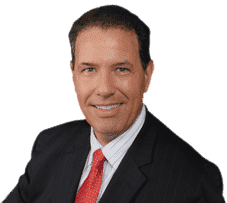 Robert Gluck has been a lawyer since 1989 and is completely dedicated to providing the legal representation you need in your auto accident case. When you've been injured in an auto accident that wasn't your fault, he will provide you with the services you need. Whether minor or severe, when you're in an auto accident it's important to hire Robert Gluck as your Margate Auto Accident Attorney so he can help you with your case. The first thing he will need to do is prove negligence existed at the time of the accident. Negligence is the legal standard of care a reasonable person must follow in order to avoid injury to another person. If your Margate Auto Accident Attorney can prove negligence, he will be able to start building your case for you. He will open an investigation into the accident and gather all of the evidence he will need. He will find any witnesses and get their statements, take photographs of the accident scene, secure video surveillance, and obtain any other evidence he thinks he will need. Robert Gluck is an experienced Margate Auto Accident Attorney you can always trust. He will fight hard for you to make sure you're treated fairly and receive the financial compensation you deserve. At the Law Offices of Robert E. Gluck, P.A., we understand how difficult this time in your life can be. We will be there for you every step of the way to help you through it.